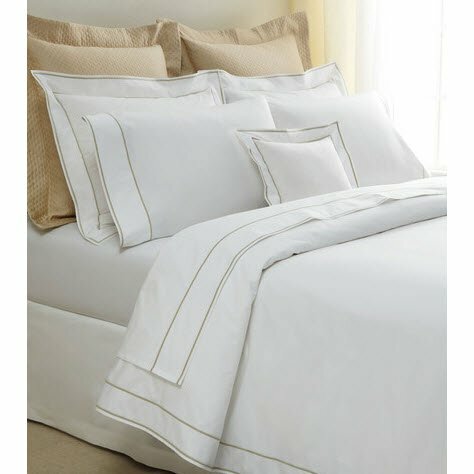 Ansonia by Matouk Monogrammed Bedding Collection is an exceptionally woven 500 thread count white percale from the finest Egyptian cotton is finished with two elegant rows of satin embroidery for a collection that truly defines world-class luxury. 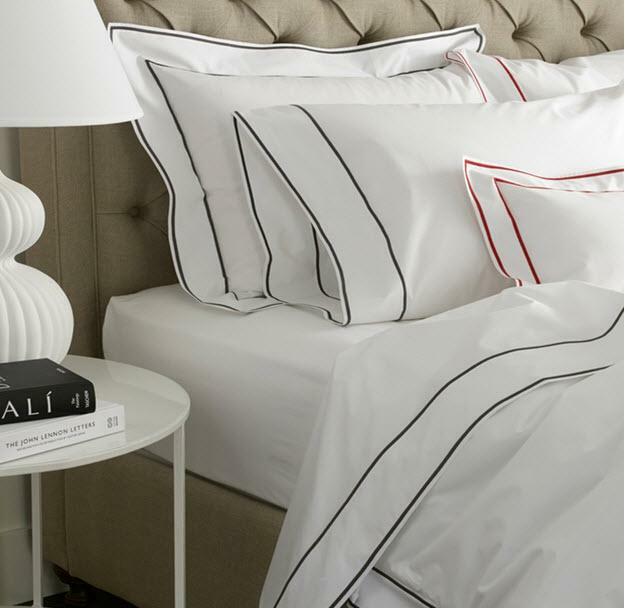 Refined and sophisticated, beautiful and customizable to complement a variety of bedding ensembles. Make this look your very own with fully customizable monogramming options. Monograms will be matched to trim color. 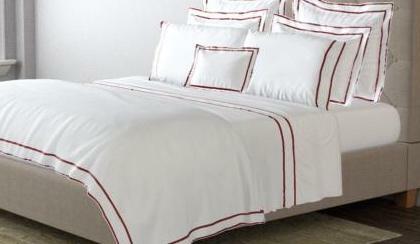 We like to use embroidery fonts on this bedding since the trim is done in embroidery. We can use a large applique instead. 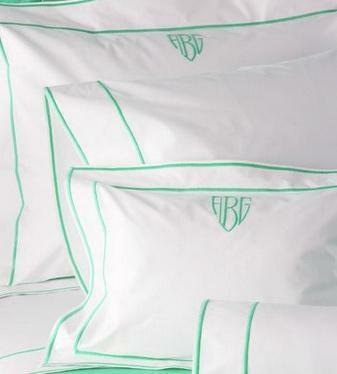 If you would like us to use a matching applique monogram we will match the trim to applique tape for you. Just add it in the comment section. Made in the USA of Italian fabric. Fitted sheets are labeled "Luca"
Matouk Ansonia Color Choices: Monograms will be matched to trim color.